45 players returned to action on Saturday in Event #37, $2,000 Pot-Limit Hold 'Em made a somewhat anonymous entry to the tournament floor, buried by the sea of entrants in the day's no-limit hold'em tourney. The 45 were the survivors from an initial field of 599, with all already assured of cashing as they took their seats. Day Two moved at a decent pace with players busting on a regular basis. The day's first round of play saw the elimination of 15 players. Thayer Rasmussen was the last player to hit the rail before the first break, collecting $6,541 for his efforts. As Round 13 got underway, there were plenty of interesting hands, but Kelly Garrett's hurt a bit more than most. Praz Bansi made a raise from middle position and Garrett called from the big blind. The flop came J-8-2 and Garrett checked. Praz bet out 15,000 and Garrett came over the top for a total of 33,000. Praz hesitantly called with the "Hammer" (7-2), for bottom pair, which was still ahead of Garrett's A-Q. The turn brought yet another deuce, finishing Garrett's day in 28th spot ($6,541), while Praz jumped up in chips to 168,000. Unfortunately for Bansi, his luck would run out and he finished in 16th place. Two of the biggest remaining names, Daniel Alaei and T.J. Cloutier, also saw their final-table hopes dashed. Alaei's day ended when he ran into Jordan Smith's pair of tens. Despite having a ten himself, Alaei had a lower kicker and was bounced in 20th. The wily Cloutier had an up-and-down day that in saw him make another run at a World Series of Poker final table, but it simply wasn't meant to be. 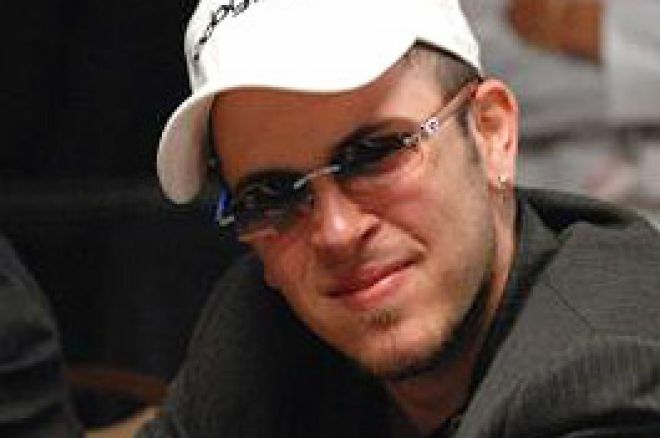 Cloutier's day ended when big stack Yuval Bronshtein called his all-in bet. Cloutier made a pair of aces on the turn, but the river gave Bronshtein a set of tens, eliminating Cloutier, who finished in 11th for $10,902. The unfortunate final-table bubble boy was Jordan Smith, who had his pocket jacks cracked by Gioi Luong's runner-runner two pair. Smith earned $10,902 for his play. Check in with Pokernews.com's 'Live Reporting' of Event #37, $2,000 Pot Limit Hold 'Em, at 2pm PDT Sunday afternoon for all of the final-table action.